Facebook, Twitter, YouTube… social media platforms play an important role in the online credibility and visibility of your business. Managing these important assets and keeping continuous, fresh content on them is a full-time job. We can handle it! With our affordable social media marketing services as part of your SEO package, you can rest knowing that we are making sure that your company is building a strong presence in the ever expanding industry of social media. 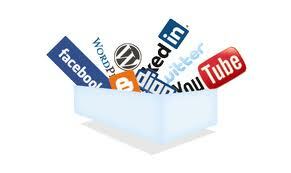 At Jet Digital Marketing we offer you the essential services to build a strong and lasting online presence. We have the experience and the knowledge of what it takes to bring you the results you want. That's why we pride ourselves in being a Utah SEO company that offers a full range of digital marketing services. When you combine our social media marketing services with local SEO and our other services, you get the complete package that brings results!